We call it the Large Combo. Everything you need to power your lighting and audio systems. 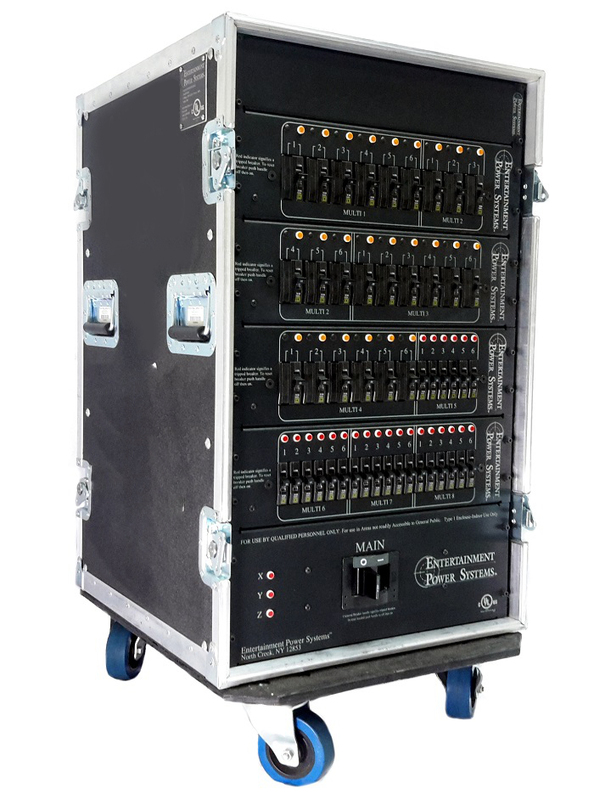 Twenty four circuits of 208V and twenty four circuits of 120V 19 pin multi's provides power for your movers and line array system. Don't hesitate to throw in the back line power needs. 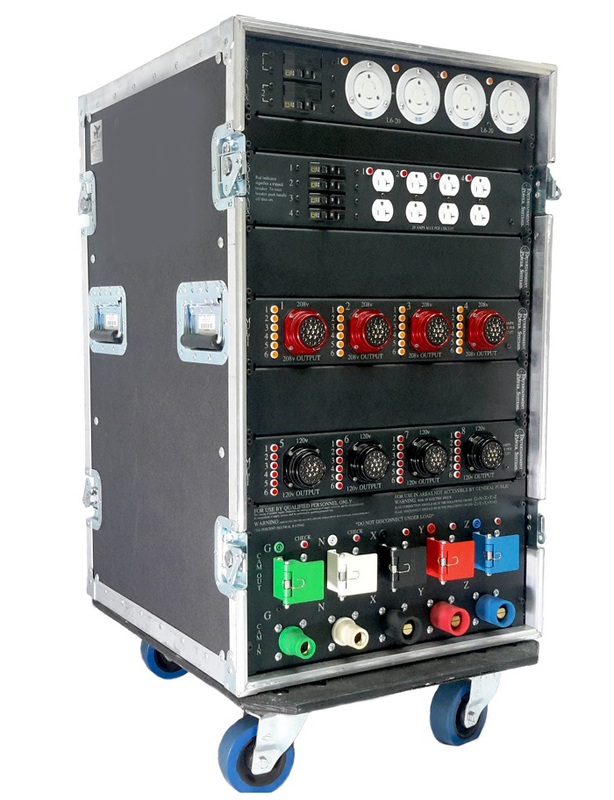 Entertainment Power Systems UL Listed power distribution racks provide a safe, reliable, portable power distribution solution. Mains breaker, neon indicator lights, test points, laser engraved panels are just a few of the many features. All mounted inside a rugged Northern Case ATA-style rack case on heavy duty casters, for safe, easy transport and use. Don't see what you need? No problem. We are in the business of customizing power distro racks to your needs. And all custom racks are still UL Listed. Please call us at 518-251-3302 for a quote.